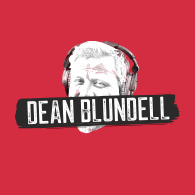 Here at DeanBlundell.com, we were tracking Marc Gasol’s name for weeks about potentially joining forces with the Raptors. The facts are the trade was a steal, the Raps traded from their strength and were able to bring in a perennial all-star without giving up FVV, Siakam or OG. From what we have been told Kyle Lowry was quick to text Gasol and welcome him North, and Gasol could not have been happier with the move. He’s motivated for a long playoff run, and with the way the Raptors are now set up and the fact they may still sign a big name or two from the buyout market, there’s a good chance the team can finally get over the hump and make it to at least the final four. Speaking of chances, there’s a good chance you had no idea about Marc Gasol’s life outside of basketball so we dove into this story to find out more about Gasol and his mission to make the world a better place. Get a load of this. Source: As the skies darken, the blue is replaced by black, the water temperature drops, and a rubber raft bobs somewhere in the sea. Nobody knows how many immigrants are on the raft or whether they’re alive or if the Libyans already have found them. All anyone knows for sure is that they have a 1-in-31 chance of survival, according to the UN June/July figures. About 115 miles away is a converted tugboat named Open Arms, and not far behind it is the slower, 48-year-old retrofitted yacht named the Astral. They are humanitarian rescue ships, sanctioned by no government, unwelcome in a growing number of European countries and ports, operated by a mixture of volunteers and search-and-rescue lifers. They are making their way south, guided by their radar, GPS and the radio chatter from ships aware of the raft sighting. This should be obvious, but it is a mistake many make when approaching popular writers.